At a reception in the Murray Theatre on Tuesday, July 10, Bob Santelli, Founding Executive Director of the GRAMMY Museum® and creator of the GRAMMY Museum®’s Music Revolution Project® presented the Marcia P. Hoffman School of the Arts at Ruth Eckerd Hall with a plaque recognizing the school as a GRAMMY Museum® affiliate. This is the sixth consecutive year that the Marcia P. Hoffman School of the Arts has offered this program. To date, more than 100 aspiring musicians, singers and songwriters have participated in the program. The GRAMMY Museum®’s acclaimed Music Revolution Project® is a national educational initiative offering talented youth in the area the chance to engage in musical workshops, songwriting courses, mentoring sessions and record original material. The tuition-free, four-week program culminates when they perform their new work live in a showcase concert on the Ruth Eckerd Hall main stage. “As a GRAMMY Museum® affiliate, The Marcia P. Hoffman School of the Arts joins cultural institutions like the Bob Marley Museum in Jamaica, The Woody Guthrie Center in Tulsa, Oklahoma and the Beatles Story in Liverpool, as well as University affiliates across the country such as Yale, Berklee College of Music and Oregon State University,” said Santielli. 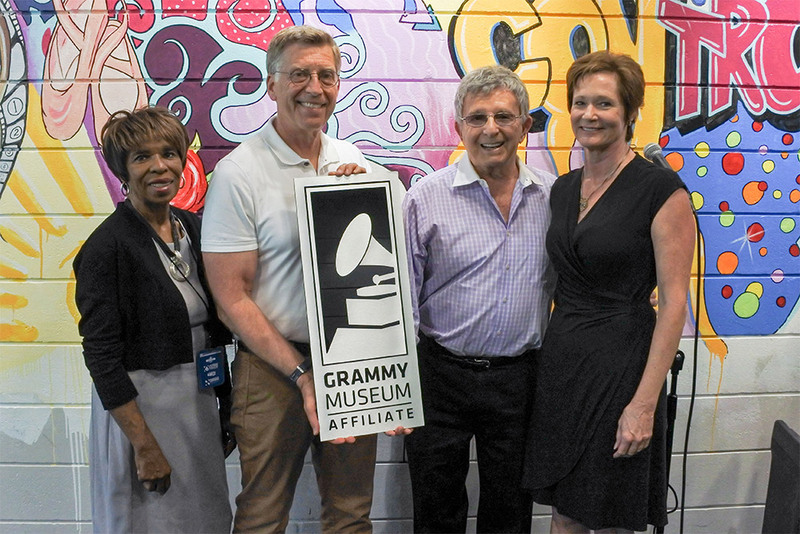 “The Marcia P. Hoffman School of the Arts now has access to GRAMMY Museum® exhibitions, educational initiatives, research programs, internship opportunities, collaborative marketing and promotions and technical support for interactive displays and more,” he concluded.